Arpeggios are an extremely valuable tool to practice on the guitar. Combine arpeggios with chords and you have basically created a piece of music! You can now make your right hand technical regime fun and varied, no longer restricted only to Giuliani's 120 Right Hand Exercises. This book will supply you with a lifetime's supply of arpeggios to practice - there are over 50 pages of arpeggios by 10 different authors! I'm sure that you will be taken aback by the variety and ingenuity seen in these arpeggios. 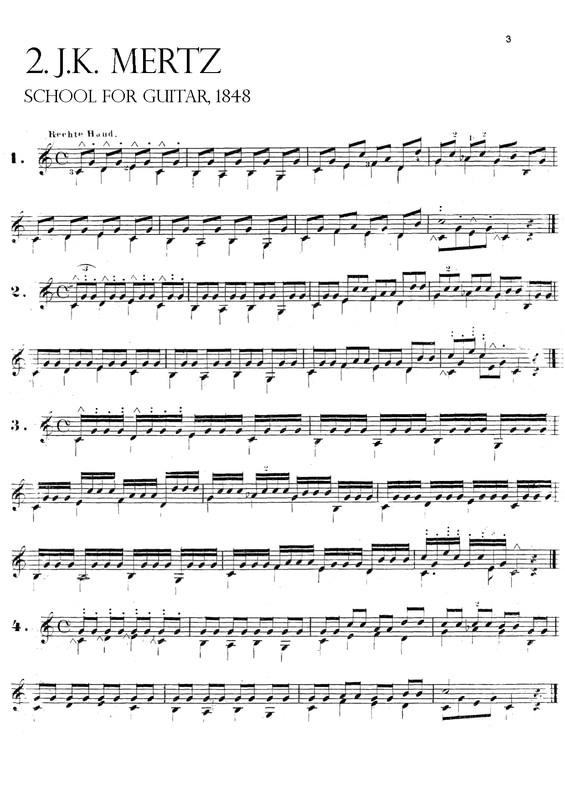 For example, Mertz provides a melodic set of arpeggios that creates a two-voice texture. 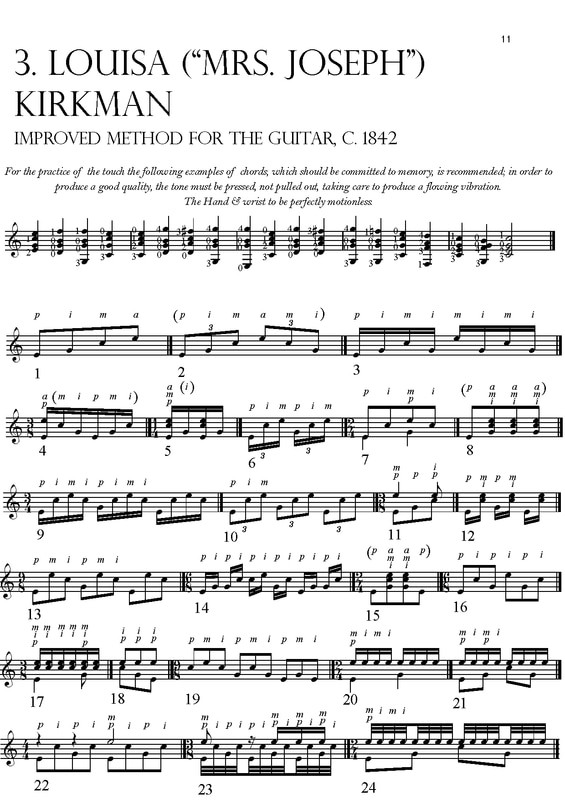 Each set of arpeggios progressively uses faster rhythms, suggesting that 19th century guitarists may have altered arpeggio textures in pieces. Kirkman gives a lengthy chord progression in which you apply the arpeggio patterns she has provided. This suggests that 19th century guitarists may have added arpeggios to block chord textures, perhaps to give variety and interest to the music. Watch the video below to see how applying arpeggios to a theme can create a variation. See if you can create your own variation by simply applying an arpeggio pattern to the theme. Please select Return to Merchant once payment has been processed.